Product prices and availability are accurate as of 2019-04-22 01:32:38 UTC and are subject to change. Any price and availability information displayed on http://www.amazon.com/ at the time of purchase will apply to the purchase of this product. 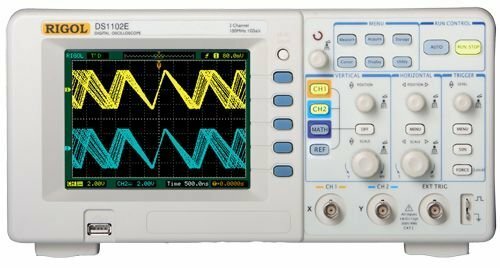 This Rigol DS1102E Model is economical digital oscilloscope with high-performance, which is designed with dual channels and 1 external trigger channel. 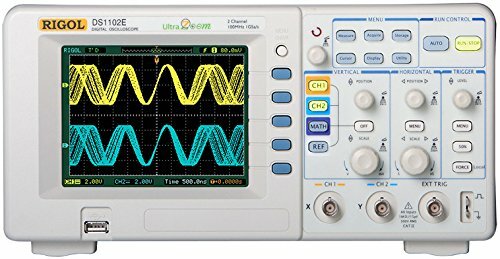 It provides 20 types of wave parameters for automatically measuring, which contains 10 Voltage and 10 Time parameters. In cursor mode, users can easily measure by moving cursor. 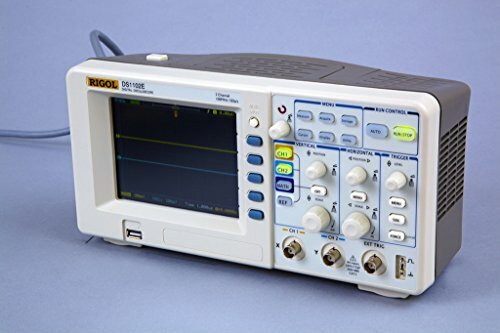 Besides, 3 types of cursor measurement are optional: Manual, Track and Auto. 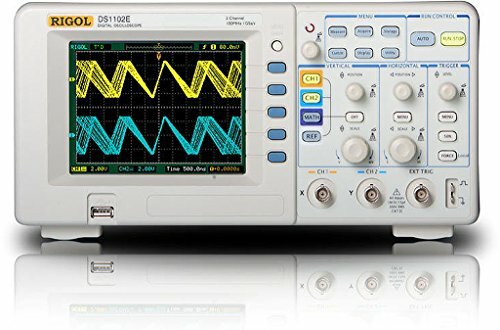 This DS1102E DSO provides powerful PC application software: UltraScope, which enables to: Capture and measure wave; Perform local or remote operation; Save waves as .bmp format; Save files as .txt or .xls format; Print waveforms.